It's not every week you can say that you spent time as a Vampire lord, watched a psycho pyromaniac take out a heavy machine gunner with a lollipop and mused over concept art featuring furry ear muffs, but that time has finally come. 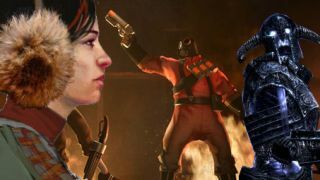 Crytek had a bit of a pop at game retailers this week (like they aren't already having a tough enough time) which prompted TechRadar to chase down HMV for comment. Upshot: not their fault. Elsewhere – we've given our PS4 release date, news and rumours piece a major overhaul – making sure we keep you up to date with all the latest gossip around the next generation of PlayStation. Google suggested that its Nexus 7 tablet was 'the ultimate gaming tablet' boasting a quad core processor and 12 cores of GPU. You can check out the gaming section of the Google I/O launch keynote below at about 50:16.